Arrowfield 3YO Sprint winner Classique Legend has attracted interest from Everest slot holders. Rising star Classique Legend has already attracted interest from slot holders for The Everest and he showed why with a scintillating win in the Group Two Arrowfield 3YO Sprint at Randwick. Firming late from $3.80 to start a $3.70 favourite, Classique Legend settled midfield and put his rivals to the sword with a devastating turn of foot to score by 1-1/4 lengths from Jonker ($41) with New Zealander Avantage ($4.60) another long neck away. 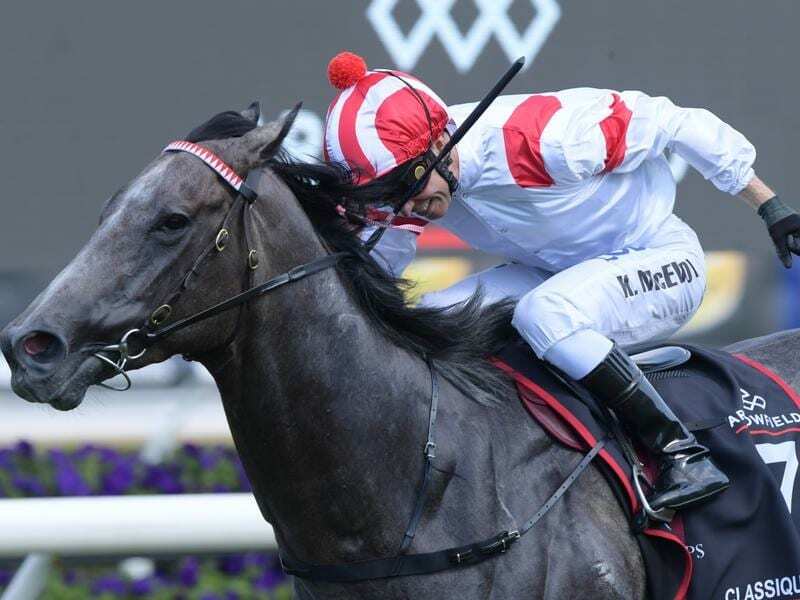 The gelding is the latest in a long list of top horses for veteran Randwick trainer Les Bridge, who has revealed connections have already fielded interest for the horse to line up in The Everest next spring. “There have been feelers put out already about The Everest,” Bridge said. Classique Legend won his first two starts then suffered his first defeat on a heavy track at Rosehill on Golden Slipper day when he raced three-wide on the speed. Bridge admitted he had been concerned about how much juice that effort had taken out of the horse but he need not have worried. The trainer’s biggest hurdle now is to convince the horse’s Hong Kong-based owner Boniface Ho to keep Classique Legend in Australia rather than continue his career in his homeland. “I’m going to lock him up in the stables,” Bridge said.